Editor’s note: Dietrich Bonhoeffer was born on February 4, 1906. Today would be his 113th birthday. The popular and easy answer to the question is, “Sure! Read The Cost of Discipleship. You’ll be like Bonhoeffer in no time!” But as someone writing a dissertation on the German pastor and theologian, the truth—like Bonhoeffer himself—is more complicated. Let me begin by reassuring the reader—there’s nothing wrong with the Cost of Discipleship and Life Together book clubs at your church or college. 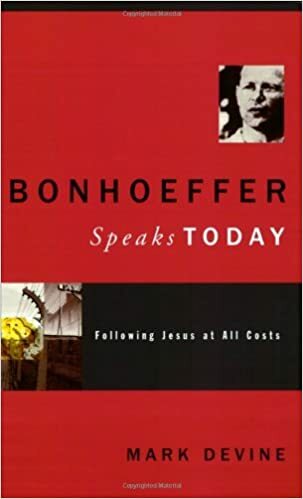 I was introduced to Cost of Discipleship on a college campus, which I am certain played a role in why I’m still reading and writing about Bonhoeffer today. I’m grateful. But, when you venture out into the secondary literature—magazine articles, essays, blog posts, biographies, etc.—in no time you find yourself waist deep in polemic quicksand. Apparently, Bonhoeffer was a Republican. Bonhoeffer was a Democrat. Bonhoeffer was a conservative. Bonhoeffer was a liberal. Bonhoeffer was a pacifist. Bonhoeffer was an assassin. Bonhoeffer would have opposed the Vietnam War. Bonhoeffer would have assassinated Saddam Hussein. Bonhoeffer would have become a Kurdish field commander. Bonhoeffer would have opposed the first Iraq war. Bonhoeffer would have supported the second Iraq war. Bonhoeffer would have voted for Obama. Bonhoeffer would have voted for Trump. There are so many Bonhoeffers out there; there’s a Bonhoeffer for everyone. There’s even, believe it or not, an atheist Bonhoeffer. You get the picture. So, who decides which Bonhoeffer is the real Bonhoeffer and who is the counterfeit? Obviously, every author who writes about Bonhoeffer stakes their own claim, but there are two general camps writing about Bonhoeffer. There is an academic group—The International Bonhoeffer Society—that provides accountability to the world of Bonhoeffer studies. These decades-long devoted individuals are the best Bonhoeffer scholars in the world. And then there are outsiders to the group who describe a Bonhoeffer they found on their own, by exploring his life through his writings. They have spent less time researching Bonhoeffer, but are no less inspired by his life and writing. As you think about reading or studying Bonhoeffer, my recommendation is not to join any “team.” Don’t spend all your time with any single biographer, scholar, or popularizer of Bonhoeffer. Begin the deep work of eating the elephant one bite at a time. Learn the landscape. Discover who the players are. And learn from all of them, even those who you are tempted to think less of. Here are some things I’ve picked up along the way that may be a helpful jumpstart. Here’s what I learned from the scholars. While I don’t think you need a PhD in German history to read Bonhoeffer (some do), being completely ignorant of the German cultural landscape is a shortcut to misunderstanding Bonhoeffer. 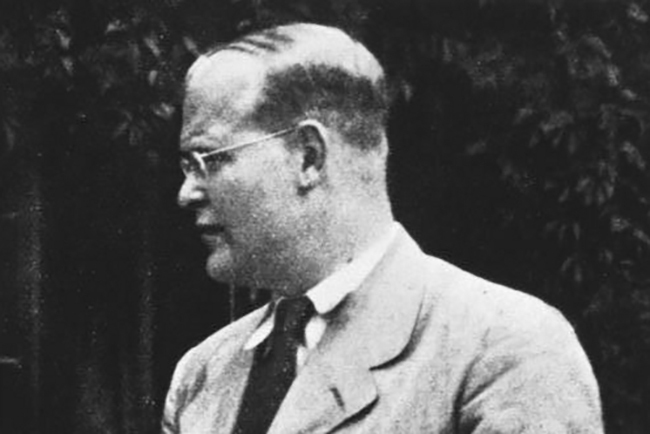 Bonhoeffer’s language, social and political situation, and religious background are all relevant to his writing. As English readers, it’s not that we can’t relate, it’s that we ought not read with unchecked confidence in our intuitive readings. Our time is not Bonhoeffer’s time. Stephen Haynes recently published a long treatment of American references to “Bonhoeffer moments” in times of political turbulence. His point was to expose how silly it seems, in hindsight, to claim a direct correlation to situations and cultures that are so different. Scholars help us appreciate the uniqueness of 1930s Germany and the contrast of that time with our own—and every other time before and after his time. Bonhoeffer was a premier intellect. Bonhoeffer scholars are on the lookout for un-nuanced readings of Bonhoeffer’s theology. Respect the level Bonhoeffer was on; second-guess that intuitive notion that assumes he’s talking about the same thing you think he was. Bonhoeffer was his own man. The truth is this—Bonhoeffer wasn’t a Barthian, a Lutheran, Reformed, or Liberal; he was Bonhoeffer. He was his own man. Bonhoeffer’s legacy has a life of its own. I don’t know which has been more influential, Bonhoeffer’s own words or what people say about him. People seem to find the legend of Bonhoeffer more useful than actually studying who he was and what he had to say. This happens with many historical figures, but it has been especially the case with Bonhoeffer. Bonhoeffer (or any of your favorite theologians) will disappoint you. The emergence of popular biographies about Bonhoeffer shed more light on the world of Bonhoeffer criticism. These books have revealed disparate views on reading between the lines of Bonhoeffer’s life. If you come to Bonhoeffer’s work expecting to find a comrade who will take your side in every ideological battle, you will be sorely disappointed. Most of our heroes will let us down that way. I’d encourage anyone to read Bonhoeffer, but just as I would with Martin Luther, John Calvin, or Augustine, I would encourage the reader to dig deeper. Find a reliable biography about their world. Read primary sources. Read in their language, if you can. And resist the impulse to a build-a-bear approach to historical theology. These people were living, breathing, complex human beings—just like you and me. They are full of strengths, weaknesses, and contradictions. These figures will mean so much more when you take them on their own terms, warts and all. Perhaps the best payoff is that when you find apparent weaknesses or points of disagreement, you’ll be relieved of the impossible burden of trying to be like them—to be a legend in your own mind. That’s no way to live or read. DEVIN MADDOX (@DevinMaddox) is a publisher with B&H Books. Thank you for putting words to this. One of the issues with a relatively homogeneous society or group is the other voices that balance in both directions are lost.